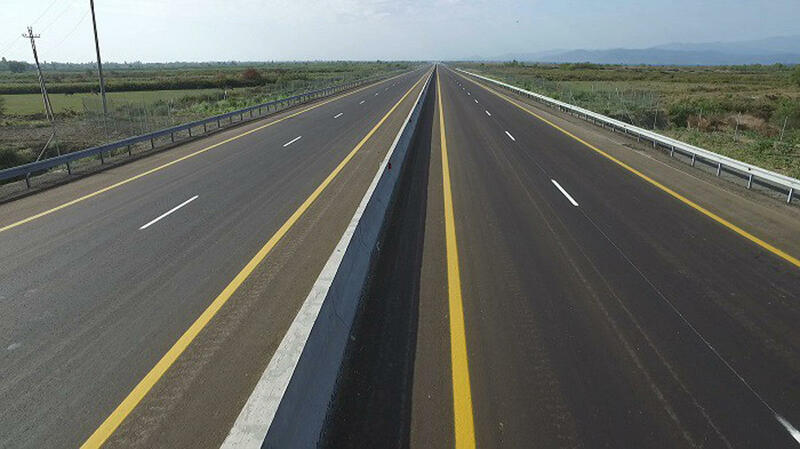 The four-lane Alat-Astara-Iranian border highway will turn into a tollroad this year, Head of the Highway Repair and Maintenance Department of the Azerbaijan Highway State Agency Aflatun Gasimov told Trend Jan. 24. He said that the relevant work is underway on the 31-201 km highway section. Earlier, Chairman of the Board of the Azerbaijan Highway State Agency Saleh Mammadov said that the Alat-Astara-Iranian border highway may turn into a tollroad from 2019. Mammadov noted that turnstiles have already been ordered in South Korea through which the passing through will be paid. "In the near future, they [turnstiles] will be delivered to the country and their installation on the road will begin," Mammadov said. On September 18, 2018, Azerbaijani President Ilham Aliyev attended the opening of the 204-km Alat-Astara-Iranian border highway, which is a part of the International North-South Transport Corridor passing through Azerbaijan.